5 Benefits of An Organized Cupboard - With Simple Tips! 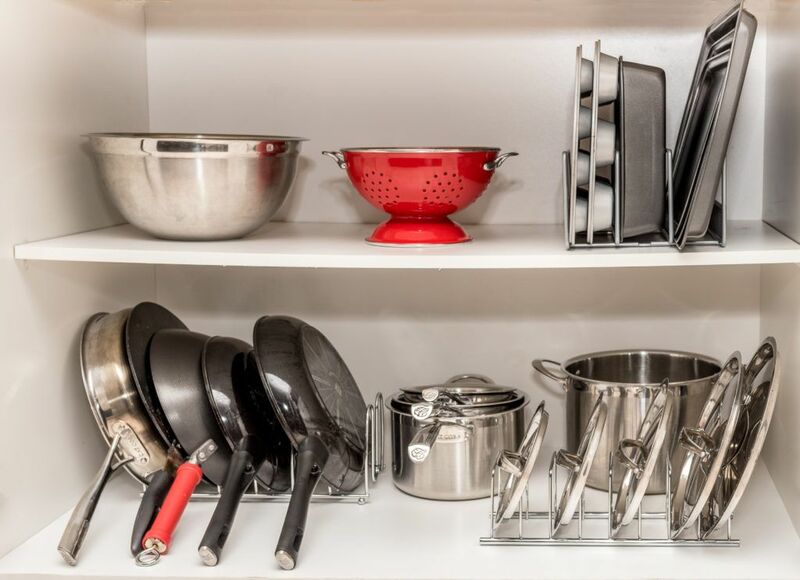 Kitchen Stuff Plus > Inspiration > 5 Benefits of An Organized Cupboard – With Simple Tips! 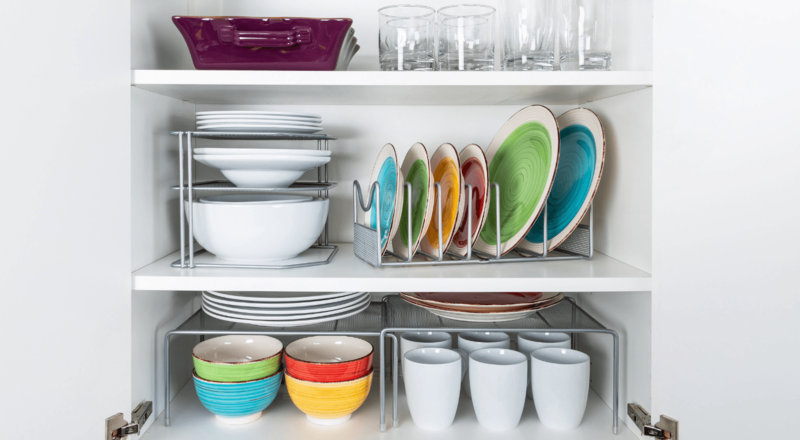 5 Benefits of An Organized Cupboard – With Simple Tips! The kitchen is the hub for every family. Whether you’re grabbing your morning coffee before you rush out the door or spending a Sunday afternoon baking with the kids, it’s nice to be in functional space that suits how your family runs. We have a wide selection of amazing cupboard organizers to make sure you’re making the most of your kitchen. Here are 5 benefits of having an organized cupboard and tips that will make your life so much easier. This is an obvious one but a lot of people don’t use their kitchen storage to its full potential. Your cupboards have a lot of room (if you take advantage of the height). Using stackable storage solutions in your cupboard will let you use all the space your cupboard has to offer. 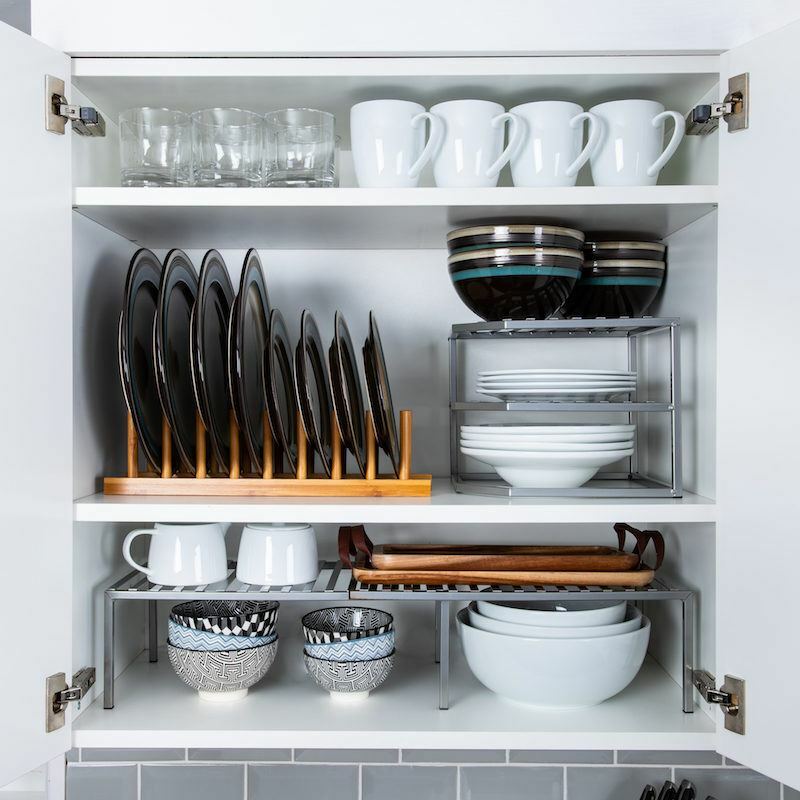 Using products like this expandable kitchen shelf or corner shelf stacking unit will help you store your extra dinnerware, canned goods or cleaning supplies. If everything in your kitchen has a home, it’s a lot easier to take control of what you need and what you want. Knowing that you don’t have space to store a broken can opener or a dull vegetable will let you reconsider what you really want to keep in your kitchen, and what you need to replace. During those morning rushes to school and work, zoning will help you keep your kitchen in order. When you dedicate cabinets to create a functional space, mornings will be a lot simpler. Choose to store your dishes close to your dishwasher and sink or even organize your pots and pans close to you oven. This will make the weekday hustle a little easier for the whole family. The Divided Pan-Board Rack and Mesh Pan-Lid Organizer are the perfect addition to organizing your pots, pans, and lids. The pan-board rack is tall enough to keep your cutting boards and pans upright while the pan-lid organizer has inserts to make storing your lids and pans quick and simple. As the saying goes, the kitchen is the heart of your home. When your kitchen is cluttered, it can make your mind cluttered, too. When you take the time to organize an important room in your home, you’ll be able to destress and relax after you come home from a long day. When you lose track of the products you have and where they are stored, it can be easy to make the mistake of buying something twice or forgetting what you already have. With a little organizing, you’ll be able to keep track of what your kitchen has and what it’s missing. From now until February 10th you can save on everything you need to organize. Visit your local Kitchen Stuff Plus so you can #LoveYourSpace. Looking to organize your pantry next? 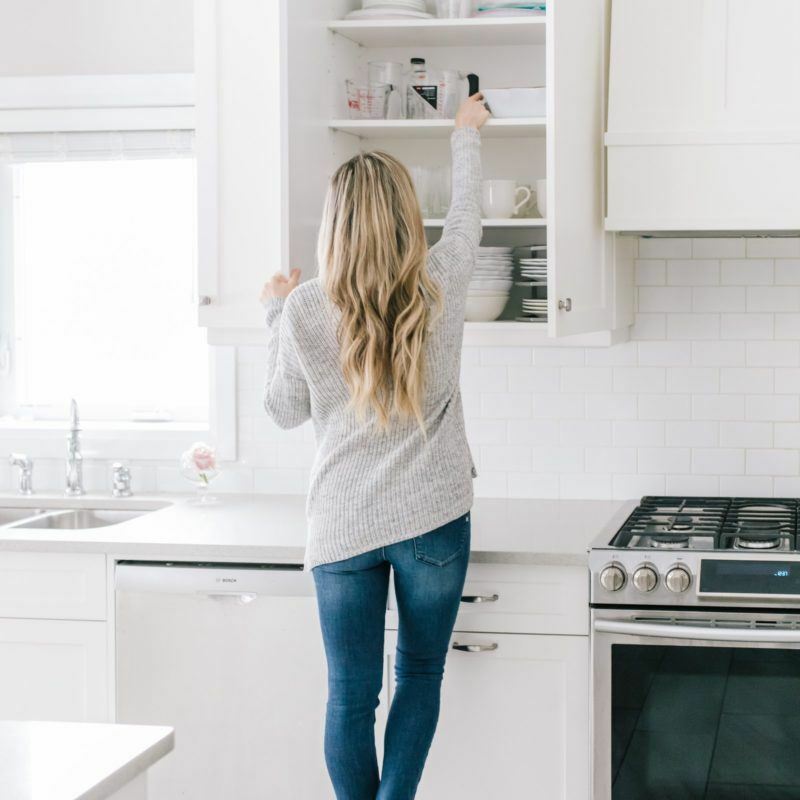 We’ve rounded up the benefits behind an organized pantry and how you can stay clear of pantry bugs! Be the first to know about our latest promos and events by following us on Instagram @kspstuff or liking us at facebook.com/kitchenstuffplus.